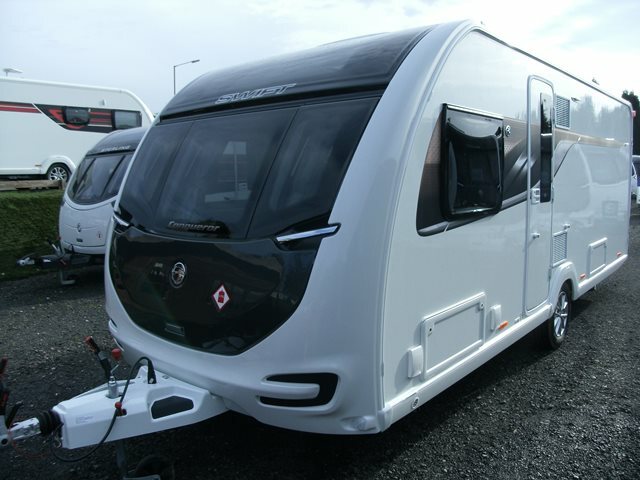 Our new Swift Conqueror 580 is shown below, for more information please contact us. The four berth Conqueror 580 features two bench seats to the front, central kitchen, transverse island bed and end wash room. The 580 also comes with alarm, external 230V and BBQ points, heavy duty corner steadies, Status 570 aerial, AL-KO ATC stability control and Alde wet heating. For any further information please contact us on 01384 413336 and ask for a member of the sales team.